Born: 3 July 1877, Edinburgh, Scotland, United Kingdom. Died: 25 October 1956, Cape Town, South Africa. Eric Arthur Nobbs, agriculturalist and expert in animal husbandry, was the youngest son of John L. Nobbs, a banker at St Petersburg, Russia, and his wife Agnes F. Brown, a daughter of John C. Brown*, colonial botanist at the Cape of Good Hope. Eric studied at the University of Edinburgh, where he graduated as Bachelor of Science (BSc) in Agriculture in 1899, winning all the available prizes and medals in his final year. By means of an examination he became a Fellow of the Highland and Agricultural Society of Scotland (FHAS) that same year. Proceeding to Germany to continue his studies in agriculture he was recalled for military duty in the Anglo-Boer War (1899-1902), serving in the First Royal Scots Regiment during 1899-1900. He then continued his studies at the University of Berlin, the Konigliche Forst Akademie in Eberswalde, Prussia, and at the University of Giessen. The latter institution awarded him the degree Doctor of Philosophy for his thesis Ueber die einwirkung von Kalidungemitteln und kalk auf die physikalischen eigenschaften des bodens (On the effects of potash fertilizer and lime on the physical properties of the soil; Giessen, 1902). Nobbs was appointed agricultural assistant to the government of the Cape of Good Hope in June 1902, a post he held for six years. During these years he carried out agricultural experiments in cooperation with many farmers. For example, in 1903 he conducted cooperative fertilizer tests with farmers and found that there was a general need for phosphate fertilizing of grain crops, while in some regions there was an additional need for nitrogenous fertilizer. His findings were published in "Manurial experiments with cereals" in the Agricultural Journal of the Cape of Good Hope (1905). During 1903-1904 he carried out what was probably the first scientific breeding of grain in South Africa at the Robertson Experiment Station. This work was reported in "Wheat and oats in South Africa" (Ibid, 1904). His cross between the wheat varieties Darling and Gluyas Early provided material out of which R.W. Thornton* later selected three types of wheat, naming them Union A, Union B, and Union C, from which J.H. Neethling* subsequently obtained his famous high-yield, early-maturing Union selections. During 1904 Nobbs was acting principal of the Government School of Agriculture at Elsenburg, until the permanent appointment of J. Noble Jack* later that year. In 1906 he investigated various grasses, legumes and saltbushes at Elsenburg and other sites in the winter rainfall region, and initiated the first tests on the inoculation of legumes by bacterial cultures. The results were reported in "Experimental crops in Cape Colony" (Ibid, 1906). Other articles by him in the Agricultural Journal dealt with "Potato-disease" (1903), "Ost-Friesland cattle" (1903), "Experimental farms for the Cape Colony" (1903), "Grasses for trial in Cape Colony" (1904), "The salt bushes" (1905), "Experiments with mealies as a forage crop" (1905), "Restoration of the veld by the aid of Aloes" (1907), and other topics. He contributed a chapter on "Agricultural problems at the Cape of Good Hope" to the volume Science in South Africa (Flint & Gilchrist, 1905, pp. 373-390), published in preparation for the visit to South Africa of the British Association for the Advancement of Science. At the joint meeting of the association with its South African counterpart later that year he presented a paper on "The importation from abroad of foodstuffs producible in Cape Colony". 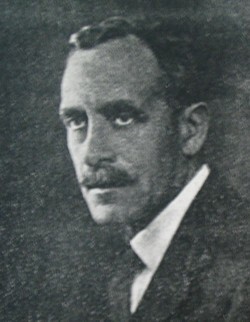 In 1908 Nobbs left the Cape Colony to take up an appointment as the first director of agriculture of Southern Rhodesia (now Zimbabwe), a post he held until his retirement in 1924. His staff included R.W. Jack* (entomologist), H.G. Mundy* (agriculturalist and botanist), and G.N. Blackshaw* (agricultural chemist). Nobbs was an ex officio member of the Legislative Council throughout this period and was responsible for the adoption of all agricultural and veterinary legislation. His departmental budgets were usually accepted without alteration. In 1910 he briefly returned to South Africa to visit the experimental farm at Potchefstroom, and in 1912 visited Australia. During World War I (1914-1918) he served in the First Rhodesian Regiment in the Free State and on the staff of General Botha in South West Africa (now Namibia). During his career he studied agricultural problems in many African countries, North and South America, and Europe, and contributed greatly to livestock improvement throughout Africa. Nobbs wrote many articles on agricultural subjects in the Rhodesia Agricultural Journal. A paper that reflected his interest in cattle was "The native cattle of Southern Rhodesia" (South African Journal of Science, 1927). The next year he visited Angola and the Belgian Congo (now the DRC) to study native breeds of cattle and sheep. He wrote a Guide to the Matopos (Cape Town, 1924, 159 pp), while two papers by him, "William Duckitt's diary" and "A note on the history of the Karrakul breed of sheep in South-West Africa", were published in the Archives Year Book of South African History (1942). He also wrote a monograph entitled "Veld" (Cape Town, 1941, 58 pp) in which he discussed the various types of veld found in southern Africa. He collected grasses, mainly in Botswana. Nobbs became a member of the South African Association for the Advancement of Science in 1902, the year of its formation, and later served on its council for some time. In 1903 he joined the South African Philosophical Society, remaining a member after it became the Royal Society of South Africa in 1908. In 1945 he became a foundation member of the South African Archaeological Society. For more that 50 years he was an honorary member of the council of the Western Province Agricultural Society. In 1916 he married Kathleen M. Ball, with whom he had one child. Agricultural Journal of the Cape of Good Hope, 1903-1908, Vol. 22-32. Cape of Good Hope. Civil service list, 1908. Cape of Good Hope, Department of Agriculture. Report of Dr E.A. Nobbs for 1903. Flint, W. & Gilchrist, J.D.F. (eds). Science in South Africa. Cape Town: Maskew Miller, 1905. National Automated Archival Information Retrieval System (NAAIRS). http://www.national.archives.gov.za/naairs.htm Documents relating to Nobbs, Eric Arthur / Nobbs, Eric A. / Nobbs, E.A. / Dr Nobbs. Obituary: Dr E.A. Nobbs. South African Journal of Science, 1957, Vol. 53, pp. 225-226. Sim, J.T.R. Agronomy investigations in the winter rainfall region, 1892-1953. Department of Agriculture: Stellenbosch-Elsenburg Science Series No. 53, 1958. South Africa, Department of Agricultural Technical Services, Winter Rainfall Region. Elsenburg: Yesterday, today and tomorrow (Commemorative edition, 1898-1978). Department of Agricultural Technical Services, 1978. South African Association for the Advancement of Science. Report, 1903, 1905/6, 1910, 1918: Lists of members and office bearers. South African Journal of Science, 1927, Vol. 24: Paper by Nobbs. South African who's who, 1908, 1939. Southern Rhodesia. Report of the Director of Agriculture, 1911-1913, 1915-1919, 1921-1923. Willson, F.M.G. and Passmore, G.C. Holders of administrative and ministerial office, 1894-1964.... Salisbury: University College of Rhodesia and Nyasaland, Department of Government, Source Book No. 3, 1966.